Storage Cresson and its affiliates provide their services to you subject to the following notices, terms, and conditions. This site is provided by Storage Cresson on an “as is” basis. 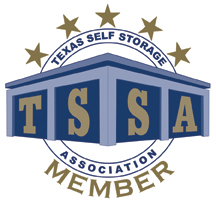 Storage Cresson makes no representations or warranties of any kind, express or implied, as to the operation of the site or the information, content, materials, or products included on this site. Storage Cresson disclaims all warranties, express or implied, including, but not limited to, implied warranties of merchantability and fitness for a particular purpose. Storage Cresson will not be liable for any damages of any kind arising from the use of this site, including, but not limited to direct, indirect, incidental, punitive, and consequential damages. You agree to defend, indemnify and hold harmless Storage Cresson, its contractors, and its licensors, and their respective directors, officers, employees and agents from and against any and all claims and expenses, including legal fees, arising out of your use of the website and services, including but not limited to out of your violation of any representation or warranty contained in these Terms and Conditions.